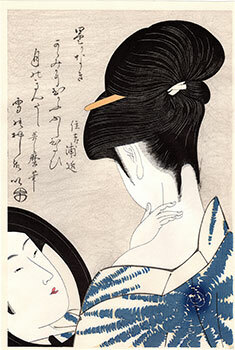 The sharp image / in the mirror, / the forehead like Mount Fuji, / the silver hair like the moon, / the powder white as the snow (曇りなき / かゝみにむかう / ふしひたひ / 月のきんたし / 雪のおしろい). 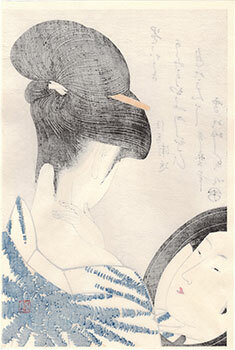 The verses of this kyoka (狂歌) poetic composition by Sumiyoshi Urachika (住吉浦近) accompany the representation of this bijin (美人) beauty of the famous artist Kitagawa Utamaro (喜多川歌麿). 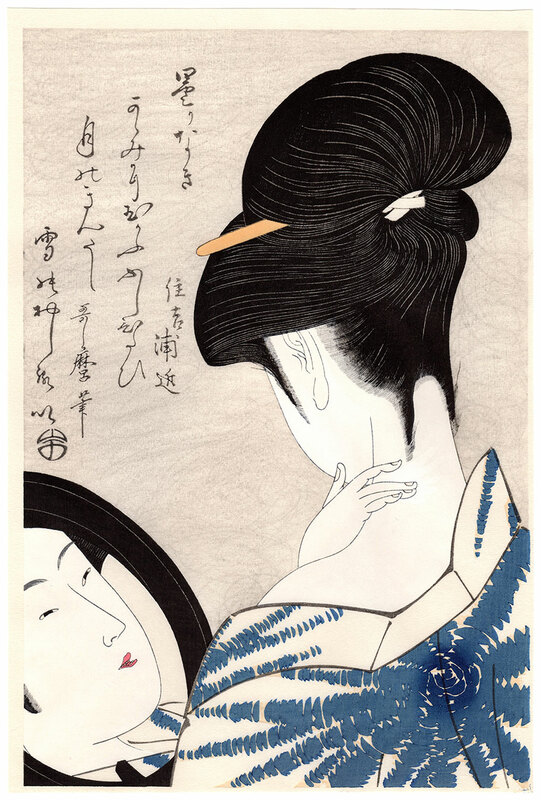 The woodblock print of vertical large oban (大判) format, a magnificent example of the elegant and intense sensuality of Utamaro's brush, is titled "Neck Make-up" (襟装い) and was printed for the first time in a period between 1795 and 1801 by the publisher Iseya Magobei (伊勢屋孫兵衛). 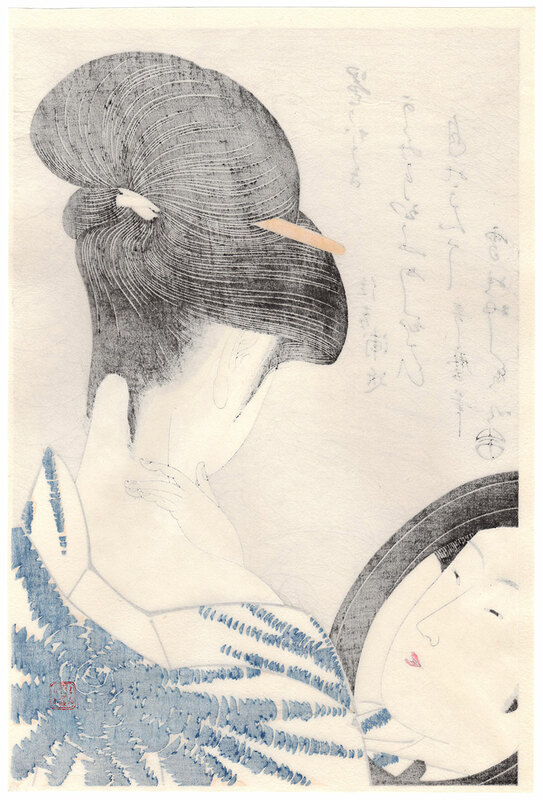 The work is presented here in a 2018 fine re-edition on Japanese washi paper (和紙) made, as we read in the seal on the back, by the prestigious Takamizawa Mokuhansha (高見澤木版社) in Tokyo and is in very good general condition.